We live and work in a global market - but English is still regarded as the international language of business. It is the most widely spoken second language in the world and those who can speak it with clarity have a great advantage. Used properly, speech can help us to achieve a greater level of success. Clear speech sends out the message 'I am in control, I can take charge,' inspiring confidence in those around you. 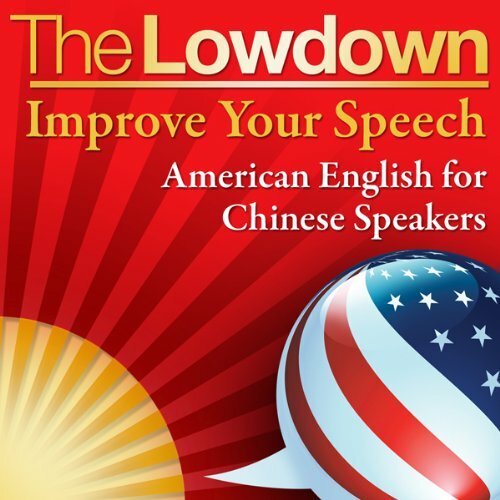 The Lowdown: Improve Your Speech - American English for Chinese Speakers is primarily aimed at those who have a working knowledge of the English language, but who want to continue to improve their clarity of speech and their accent. When you speak different languages, you use the same muscle groups - but in different ways. Through easy exercises and helpful hints, this title will help you make the necessary adjustments to achieve clearer English, giving you confidence and helping you to make the best impression possible - whether at work or when socializing. I speak Mandarin and find this download really helps me to form sounds in English and unravel my chinglish:) I have another audio book by the same author/narrator, and I disagree with the reviewer who said he sounds British. I work in NYC and he doesn't sound British to me or my British friends. He sounds friendly and educated like my boss, and he's from Philadelphia! American English as explained by someone with a British accent. Seems a little shady at first listen. Does what it says without waffle and filler, nor by repeating the same generic exercises available elsewhere. It concisely and accurately identifies pronunciation difficulties specific to most Chinese speakers of English and provides simple, practical solutions. I currently teach Chinese medics and medical students how to improve their English pronunciation and finding this was a treasure - it works.